If you are appearing in Court for a legal matter, you will be required to swear an oath to tell the truth. Perjury is the offence of making a false statement whilst under oath. It is also a serious offence to procure, persuade, induce or otherwise cause a person to give false testimony that amounts to perjury. What are the potential penalties for Perjury? In NSW, the maximum penalty for perjury is 10 years imprisonment. This is outlined in Section 327(1) of the Crimes Act 1900. What actions could be considered perjury? Perjury charges apply in NSW regardless of whether the statement made is verbal (i.e. in Court) or written (i.e. in an affidavit). Who investigates and prosecutes the offence of perjury in NSW? The NSW Police are responsible for investigating allegations of perjury. Following a police investigation, the NSW Police may refer to the Director of Public Prosecutions (DPP) any evidence that appears to be an offence of perjury. The DPP will then determine whether or not the offence is prosecutable. Although the Attorney General retains a power to direct a prosecution for perjury, this would only occur in very exceptional circumstances (such as if an employee of the Office of the DPP were accused of perjury). What are some possible defences to perjury? 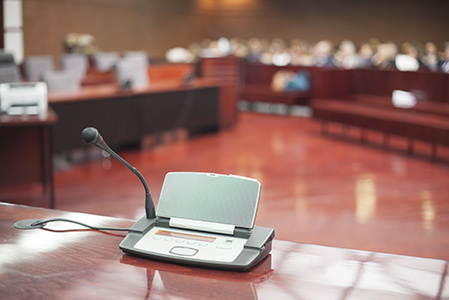 What should I do if I am facing a perjury charge? Perjury is a serious charge that can come with harsh penalties. If you are facing this charge, it is important to consult a skilled defence lawyer as soon as possible. With the right legal guidance, you can greatly reduce the chances of being found guilty and receiving a penalty. PreviousPrevious post:Can police arrest their way out of the drug problem?NextNext post:What is Duress in Criminal Law? Is bigamy legal in Australia? What is the difference between a Lawyer, a Solicitor and a Barrister? What is a Court Subpoena?